Russia’s last politically independent television station, TV2 in Tomsk, Siberia, fell silent on the stroke of midnight Wednesday night as the country rang in the New Year with a televised address by PresidentVladimir Putin, after a state transmission service forced it off air. As the stirring lyrics of the Russian national anthem welled up on TV2 following Putin’s speech with an on-screen image of Russian’s tricolor flying above the Kremlin, the station’s signal was cut. Regional authorities in Tomsk, a city 2,235 miles and three time zones east of Moscow,failed to intervene to prevent the closure of a station that employs 300 people and has broadcast to an audience of 600,000 since May 1991. The station ran images of empty studios and news rooms on its website after the plug was pulled in what the state transmission service RTRS (Russian Radio and Television Broadcasting Network) says is a contractual dispute but station bosses claim is politically motivated. The irony of the station’s closure immediately following the presidential address in which Putin spoke with pride of the “return home” of Ukraine’s Crimean territory, forcibly annexed by Russian troops last March and the need for Russians to face up to growing economic problems, was not lost on top news anchor Yulia Muchnik. Viewers who stayed with the station until the end, as Tomsk met the New Year three hours ahead of Moscow time, watched Putin’s pre-recorded speech before the signal was abruptly cut a few seconds after the last Kremlin chime struck and the national anthem began. For TV2 Tomsk that means — like Moscow’s Dozhd TV forced off cable schedules last January — switching to cable and Internet services to get its broadcasts out after it failed to win a reprieve from closure by RTRS, which claimed its license was no longer valid. Russia’s last politically independent TV station will be forced to close at the end of this month after the state-owned company that transmits its signal said it would be taken off the air. The regional branch of Russian Radio and Television Broadcasting Network (RTRS) said it would not renew a transmission contract for TV2 in Tomsk, Siberia, due to expire on December 31. It claimed the station’s broadcast licence had expired. The station, which launched in May 1991 and was the first privately owned TV channel in Russia, insisted it was operating legally and said the closure threat was the culmination of months of pressure from authorities unhappy with its news coverage. Independent news has virtually disappeared from Russian TV screens. Coverage of big events, such as the conflict in eastern Ukraine or the rouble crisis, is typically slanted towards the Kremlin’s line. Moscow’s TV Rain, which leans towards the opposition, was forced off air this year. It has re-established itself as an internet station, although new laws may soon spell its end. 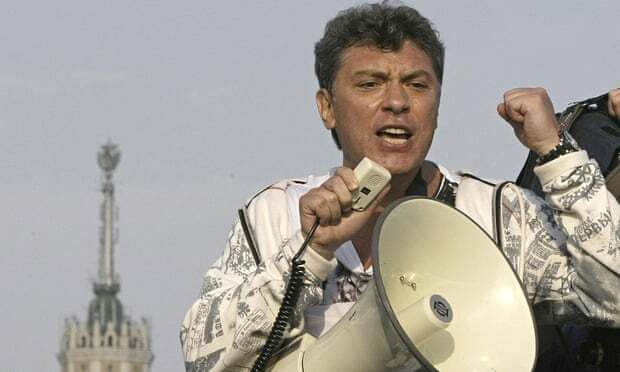 TV2 was one of the only stations in Russia to broadcast footage of the failed coup against Mikhail Gorbachev in August 1991 and became the first station to send a news crew to cover the first war in Chechnya in 1996. It is this fearless reputation that seems to have upset the authorities, despite its relative geographical obscurity, based in a small city 2,235 miles east of Moscow. TV2’s problems date back to May when it narrowly escaped losing its licence after a fire destroyed a cable at the transmission station, meaning it could not broadcast. The fault, which experts said required a simple repair or replacement, took weeks to fix. Broadcasting laws required the station to return to air sooner or face closure, and it was only after a noisy campaign that the RTRS restored the connection. The station said is would use all measures “legal and moral” to fight the new threat to its future. Yulia Muchnik, who anchors TV2’s daily news show, said the broadcasting regulator Roskomnadzor recently confirmed a ten-year extension of its licence but officials now claimed to have lost the paperwork. “It is clear there is an order to close us down because we are independent,” she said. Judging by its online trailer, veteran television presenter Vladimir Pozner gets Britain wrong in a new documentary on English habits and customs, Nick Holdsworth in Moscow finds. Having fun with stories about rich food, Romans, homosexuals and secret service agents, Nick Holdsworth in Moscow unearths a Russian take on news making the headlines at home. A British eye on what was happening in Russia last week: A Russian warrior finally returns home, space reptiles suffer an unexplained end and Moscow’s traffic jams come under the cosh. A British eye on what was happening in Russia last week: As Gagarin rocket fragment sells for 7,500 Euros in Berlin, businessmen at an economic forum in Sochi are forced into a cheesy compromise.